"Hidden treasures, love, adventure, traveling back in time . . . what more could you want?! With another historical treasure on the horizon, you will not be disappointed with the richly woven story Kamery Solomon has created!" 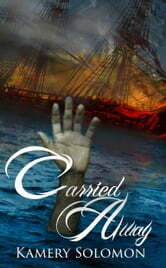 "Carried Away is dramatically charged, with action packed details, and moments that will grip your heart in a vice. Dare I say it? Kamery Solomon may have just written my favorite read of 2016!" "If you think that books can't get any better then that last book you read, or that you won't want a different book boyfriend than that guy in that last book; I have something to tell you. YOU ARE WRONG!! This MUST be the book you are reading NOW!" "The BEST book I've read THIS YEAR!" ~Lacey Weatherford, #1 International and USA TODAY Bestselling author of Crush, Allure, and Of Witches and Warlocks. "Swept Away is the perfectly titled action-packed, swoon filled story by Kamery Solomon! From the first page to the heart racing last words, Swept Away took me on a swash buckling adventure--one that left me desperately wishing for a Tristan O'Rourke of my own. Watch out, peeps . . . this is pure GOLD . . . a treasure to devour! The hunt is over--pirates are the new addiction!" Mark Bell is being haunted. Ever since his friend, Samantha, drowned in the Treasure Pit, he’s been running from her ghost. 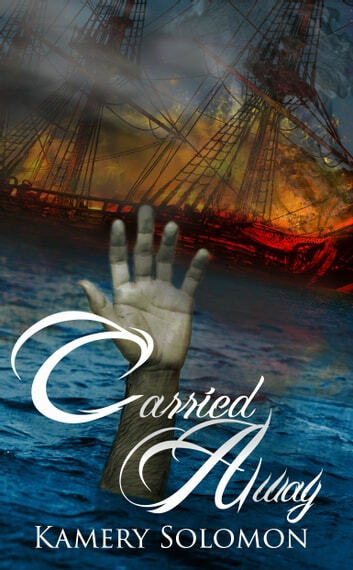 When his path takes him to a historical site and shipwreck in Texas, he hopes the past will stay where it belongs. However, the more he uncovers, the clearer it becomes that something is not right. Old friends need his help, and he doesn’t know if he’s the man to get the job done. Samantha O’Rourke is a time traveler trying to survive in the past. Trapped in the social pyramid of the French Court and the secret society her husband, Tristan, defends, she feels more out of place than ever before. Nothing ever stops a treasure hunter for long, though, and she soon finds herself caught up in another mystery, only to have life yanked to a precarious perch, where only the truly strong will survive. Can the future be changed? Or is everything set in stone, destined to follow only one course?